Jose is a graduate of Suffolk University Law School where he concentrated in international law. Prior to joining Maiona Ward Immigration Law Jose worked at a Boston based immigration firm where he gained experience in removal defense, family and humanitarian immigration petitions. Attorney Carrasquillo represents individuals in removal proceedings and before US Citizenship and Immigration Services in family based petitions and naturalization applications. A native Spanish speaker, born in San Juan, Puerto Rico, Attorney Carrasquillo has extensive international experience he conducted graduate level research in San Jose, Costa Rica and Havana, Cuba while completing an M.S. in International Relations with a specialization in Central and South American political systems. Attorney Carrasquillo received his M.S. and B.A. from the University of New Hampshire. His extensive research and first-hand experience inform his approach to navigating the complex social and political issues that many immigrants face today. 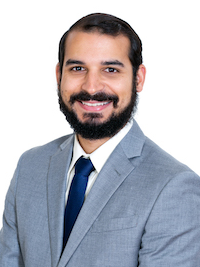 Attorney Carrasquillo is a member of the Massachusetts Federal Bar Association and the American Immigration Lawyers Association (AILA) for which he currently serves as a pro-bono liaison for the AILA New England Chapter.